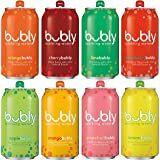 True Lemon STRAWBERRY, WILDBERRY, LIMEADE, WATERMELON, BLACK CHERRY, MANGO ORANGE, PEACH, LEMONADE, RASPBERRY (Pack of 9) 10ct each box. 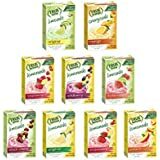 True Citrus Sample Kit of Lemonade and Limeade. Oh hi! 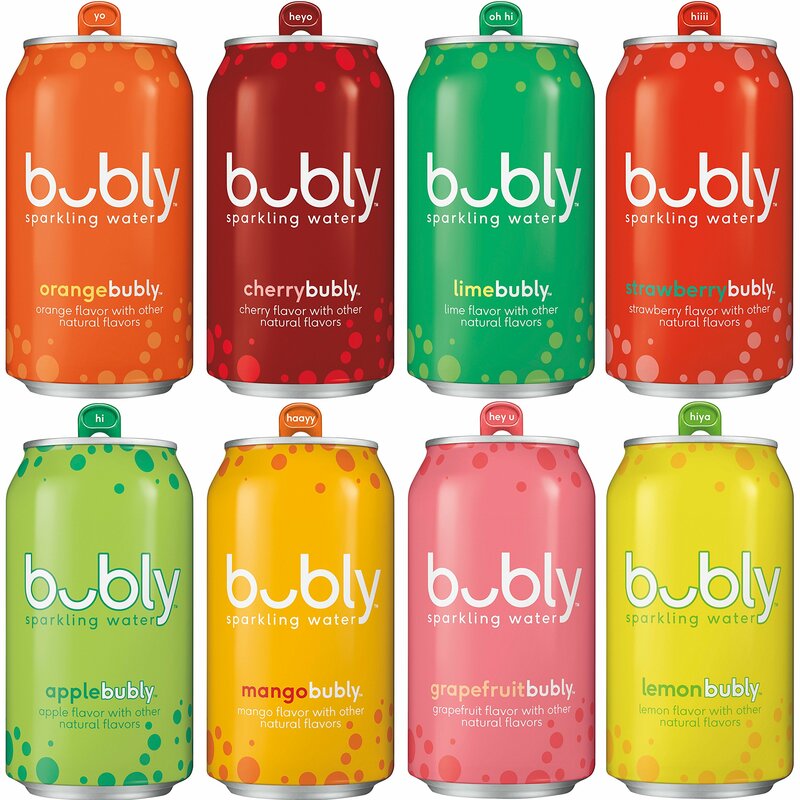 bubly sparkling water combines refreshing, crisp sparkling water with great tasting, natural flavors perfect for any occasion. 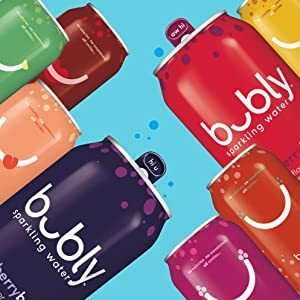 bubly sparkling water has 0 calories, 0 sweeteners, and is sure to put a smile on your face. 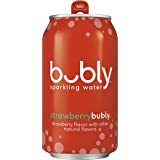 Almost with all sparkling water, I have to have a few sips to cleanse my pallet of all the strong flavors in every day life. The more sugar or sweet drinks you normally consume, the weirder this will taste. 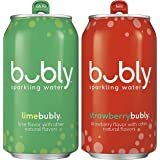 When I first started on sparkling water I hated it, pushed through the first can (of another brand) and then it got easier. 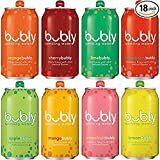 The more you drink and more often the better sparkling water starts to taste and the more sickly sweet regular soda tastes. In my experience as well as anyone who has done a sugar cleanse will tell you! 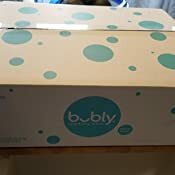 I have really enjoyed Bubly. 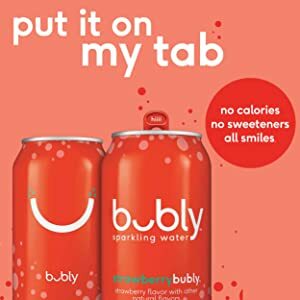 I have been trying to cut out soda for the obvious terrible implications from it and sampling the market for different zero sugar/sweetener and calorie drinks. 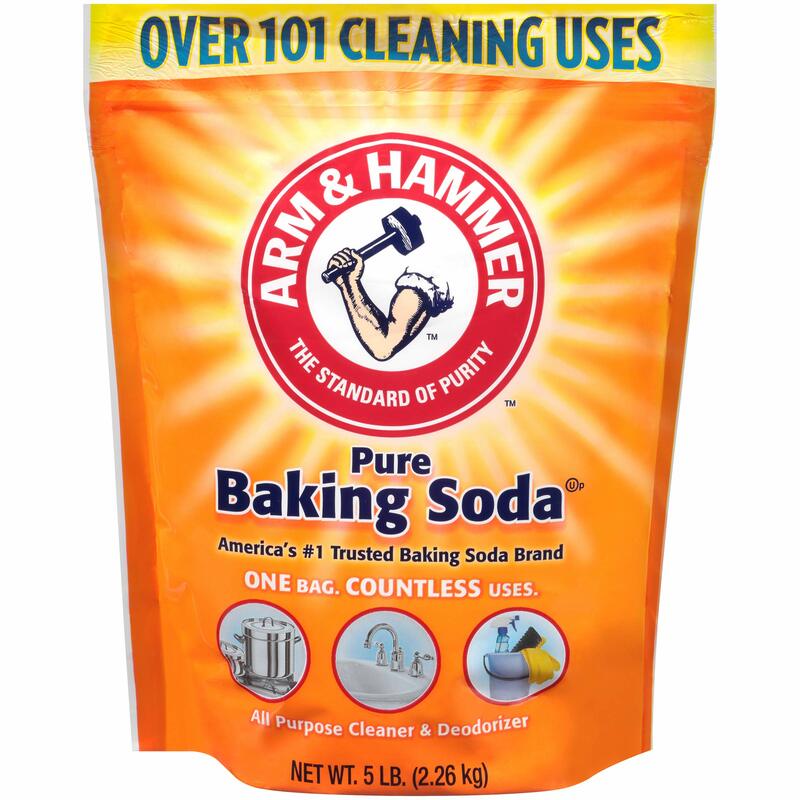 I tried a certain home soda creator thats popular, but never got a great taste. This sampler gives me the ability to try all 8 flavors without having to purchase 8ct packs of all the flavors. 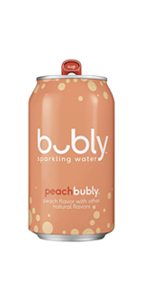 Plus, these waters being so new, my local store has had limited flavors and inventory. This comes with 2 cans of every flavor (3 of lime and grapefruit). The flavor on these is great. 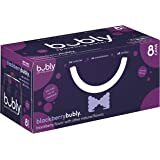 I think they have a good smell, which makes your senses feel like you aren't just drinking a lightly flavored sparkling water. The flavor isn't very strong or overwhelming. The apple smells like a freshly cut juicy green apple! 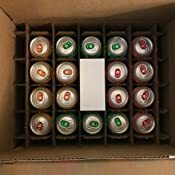 The box is came in was adorable and all the cans were safe and undented. Can't wait to pick my faves! I think a lot of the bad reviews come from people who are expecting something else. 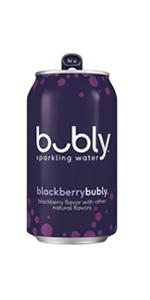 This is seltzer, AKA carbonated water, which is an acquired taste. 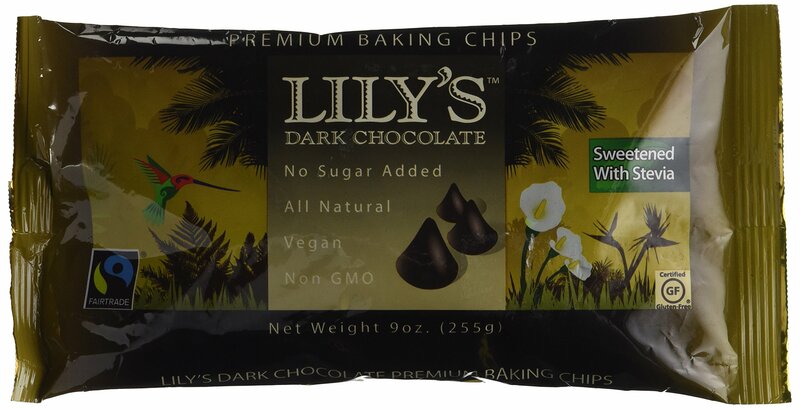 The ingredients are water and natural flavor, so there's no sugar or other sweeteners. 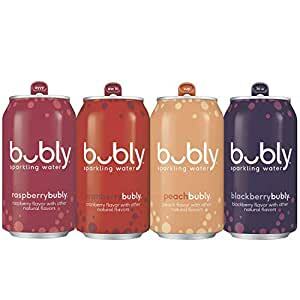 If you're expecting something sweet like soda, diet soda, or some of the artificially sweetened sparkling waters like Sparking Ice, you're in for a surprise. That being said, I drink A LOT of seltzer, and this might be my new favorite. 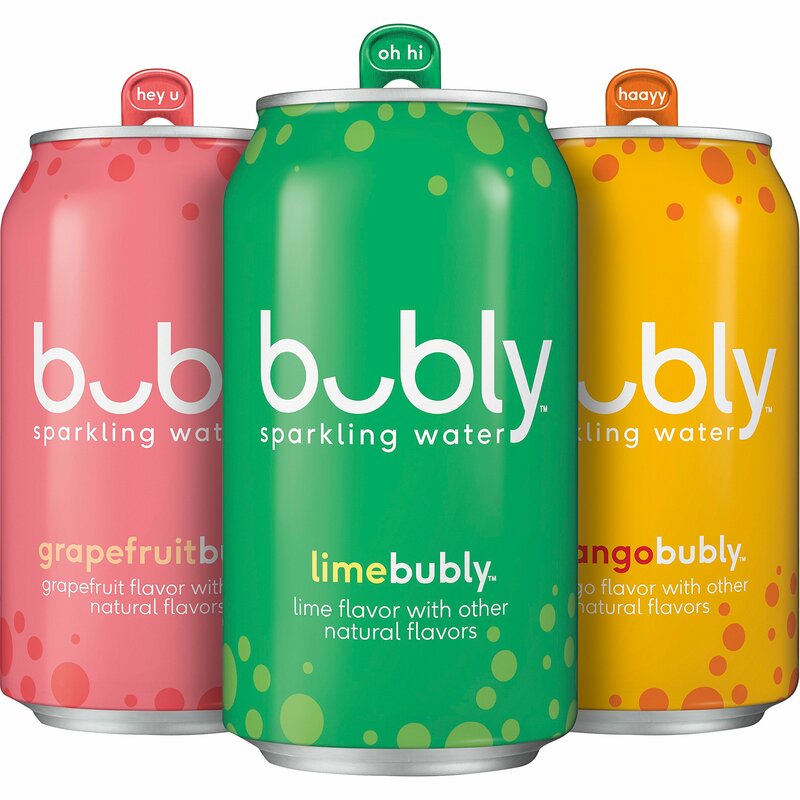 The flavors are a bit more prominent than my normal seltzer brands (Polar, Hannaford store brand, and Canada Dry), and I've found myself really enjoying it. 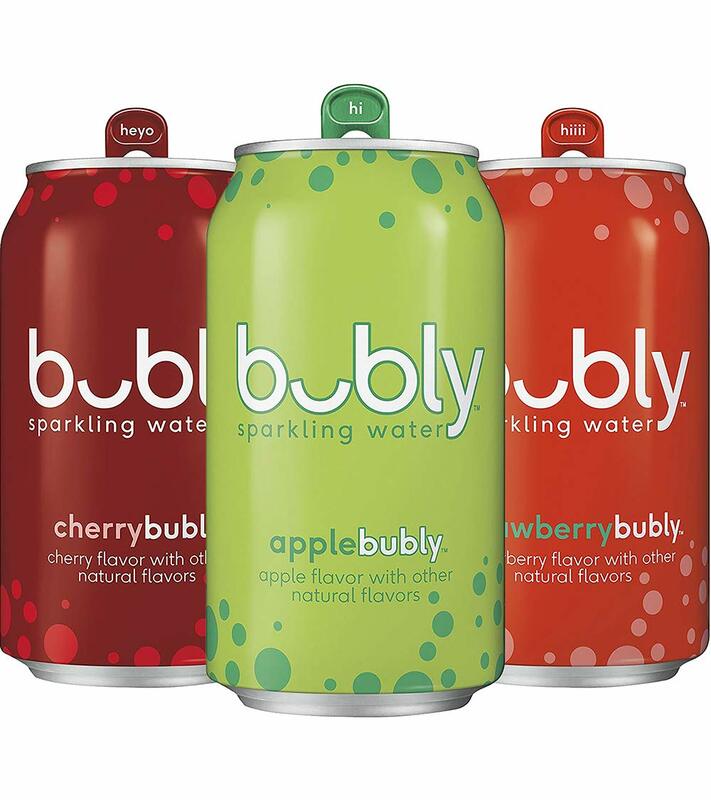 Even flavors that I thought I wouldn't care for (apple and strawberry) were surprisingly good. 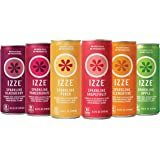 I had one odd tasting can of grapefruit that I got from Target, but all the grapefruit cans in this sampler tasted good. 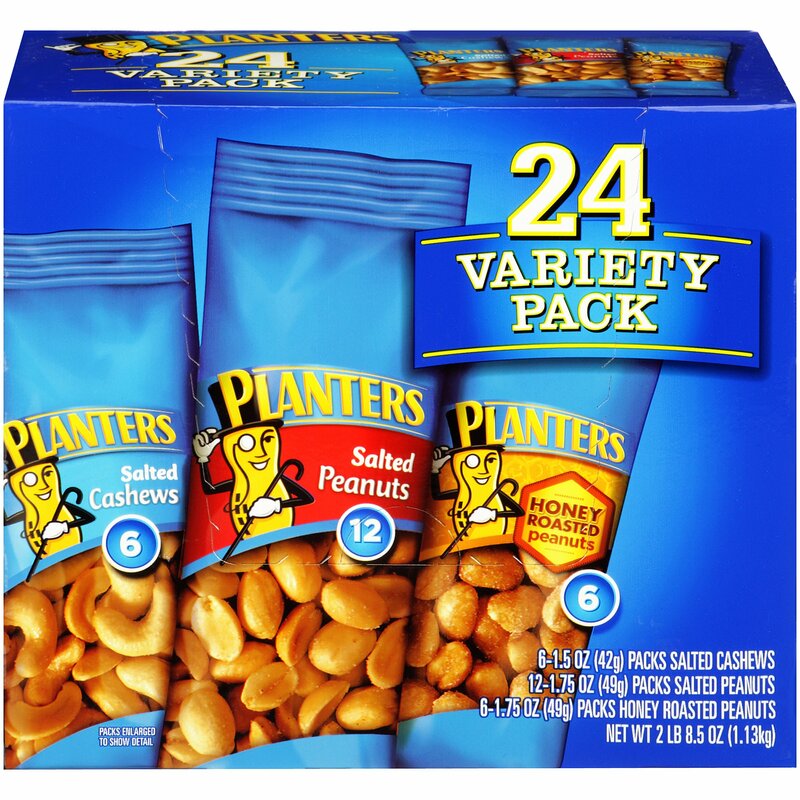 My only complaint is that I can't get this sampler pack locally. 4.0 out of 5 starsWorth a try, most definitely! 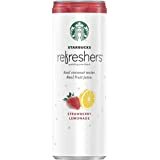 Hard to break bonds with LaCroix, which I've been drinking since the 1990s, but I like the level of fizziness and flavor profile of these new flavors by Pepsi. The chance to try all 8 in the sampler pack was a great marketing idea. Easier than committing to a 12 pack of a flavor we may or may not like. My kids like them - I especially enjoyed the orange. No funny aftertaste at all. Clever packaging as well. A winner! 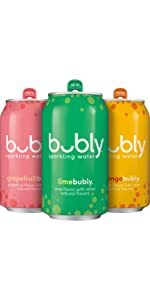 5.0 out of 5 starsTasty AND Healthy??? Shut the front door! 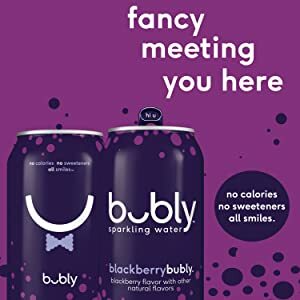 If you are looking for a sweetened fizzy water, this is not the product you are looking for. 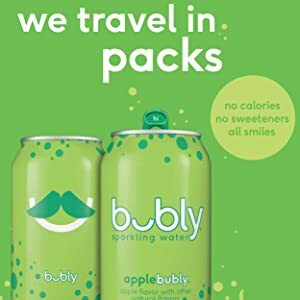 If you are looking for keto friendly, zero carb, no sweeteners added drinks - THIS is the product you are looking for. 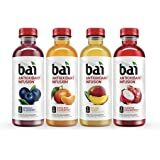 Cherry is my favorite...strawberry is close second and orange is my third...the flavors are genuine and unique to this brand. My 8 year old LOVES the mango. 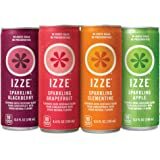 5.0 out of 5 starsFresh fruit flavors, no aftertaste! Just received the sampler a few days ago and after trying almost all the flavors have to give a rave review. 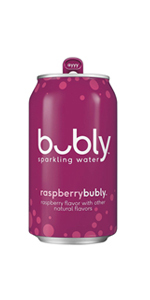 We are seltzer drinkers so we’ve tried just about everything out there. I’m excited to find a great unsweetened but great tasting option with not too much fizz or any aftertaste. The strawberry and mango are my favorite so far! 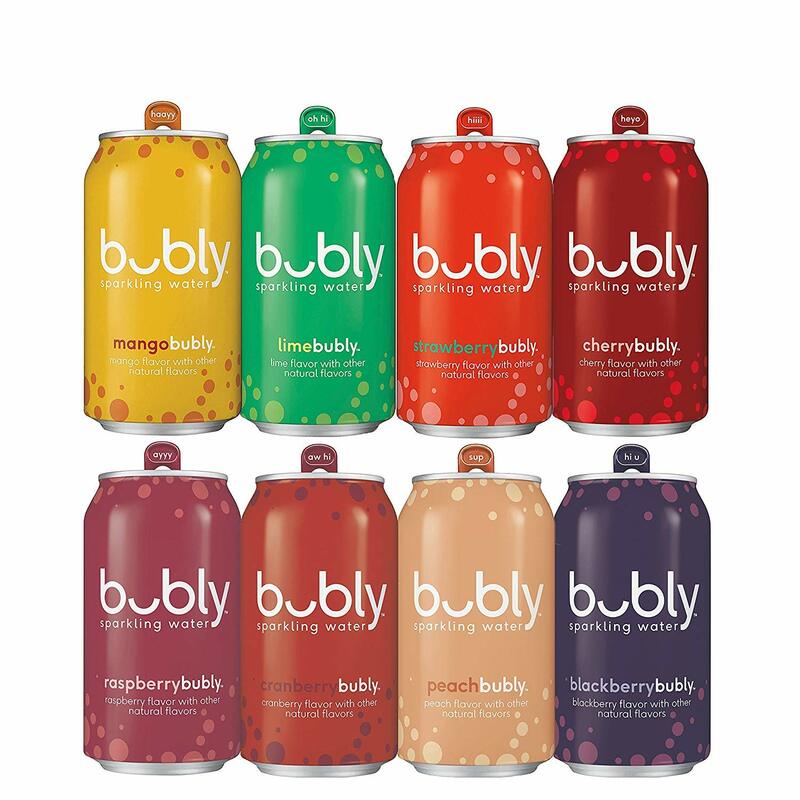 Very realistic fruit flavors and it’s a bonus that the packaging is just so darn cute. 1.0 out of 5 starsNO FLAVOR!!!!!! The first can I opened and the first sip I took I had a whiff of cherry. Every taste after the first was tasteless. The water from my refrigerator has more taste. I have 17 cans of this stuff. Who do I foist it on. 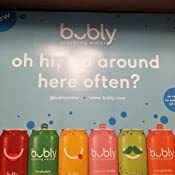 I certainly will not drink it. Got the sampler pack and this product is terrible --in my opinion. --The water leaves an aftertaste that is not unlike soap. 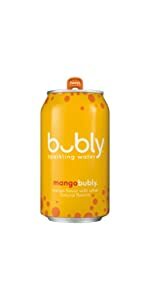 The grapefruit went right into the drain-the mango is 'tolerable' if you drink it real fast. The strawberry tastes like'I dont know what' but it is not strawberry and into the drain it goes. 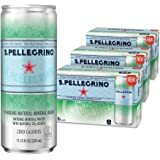 I'll go back to Poland Springs-Pelligrino-or Perrier. Forgive me now I have to go dump this stuff and get my can deposit back. 5.0 out of 5 starsFills the bill for me! 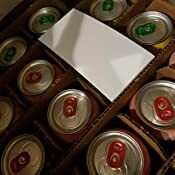 Just got the variety pack and have only tasted the grapefruit and the strawberry. Amazing! I have tried virtually all of the bubbles including the expensive imported ones and this kicks it up a lot! 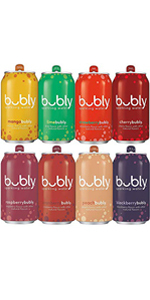 Just right carbonation, just right hint of flavor and just right price! 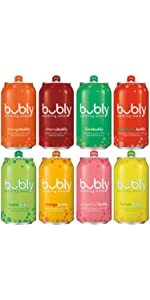 This will be so refreshing in hot weather!